Zach Galifianakis voices Mr. Link: the surprisingly smart, funny and soulful beast upon whom Sir Lionel’s dreams depend. As species go, he’s as endangered as they get; he’s the last of his kind, and he’s lonely. Proposing a daring quest to seek out his rumored distant relatives, he enlists Sir Lionel’s help in an odyssey around the world to find the fabled valley of Shangri-La. From LAIKA, the animation studio behind the Academy Award–nominated Kubo and the Two Strings, Missing Link is a stunning stop-motion epic and raucous comedy. Featuring concept art from the film’s creation—including sketches, storyboards, character designs, and much more—and illuminated by in-depth interviews with the film’s creative team, The Art of Missing Link is a must-have companion to the film. 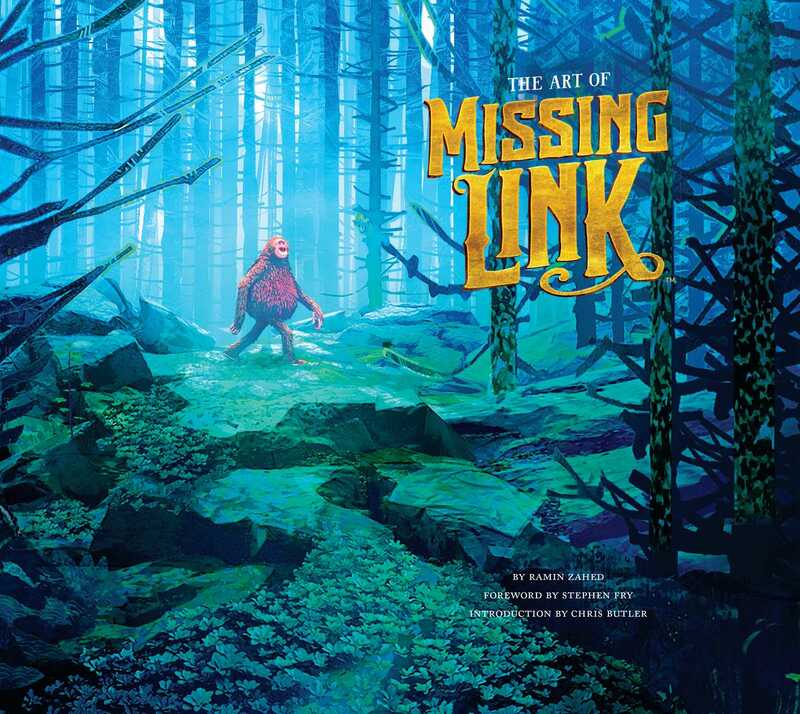 "My advice would be to order the book, then see the film in theaters opening day, then read the 176-page tome to take a deep dive into everything you missed in Missing Link before seeing the movie again ASAP. That’s the ideal way to embark on this particular adventure." "One of the most striking layouts in the whole book is a series of side-by-side before-and-after shots revealing the on-set reality and the finished feature film frame, but there are gems on each and every page." "A beautifully presented coffee table companion book to the film." "Where The Art Of Kubo was mostly a gallery of concept art, this latest Laika tie-in strikes a better balance, with more images of on-set puppetry alongside all the drawing-board loveliness. Stephen Fry supplies an (of course) erudite, funny foreword, though top quote is director Chris Butler’s description of Link as “a hairy avocado on legs”. Illustrator Warwick Johnson Cadwell’s sketches, meanwhile, are a precious find all of their own."